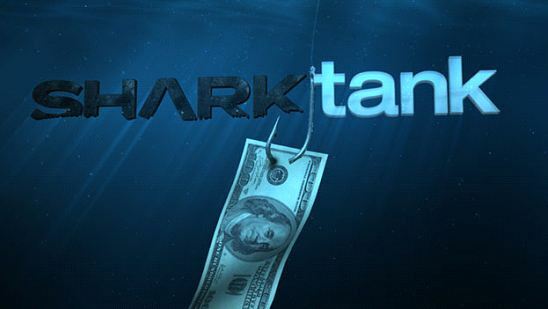 The ABC’s Shark Tank started in 2009 currently airs its fourth season. Running of 4th season is evident of how successful this show has been so far on television. It’s not any regular dance or comedy reality show, nor is it based on a quick fame formula. It’s a reality show for businesses, for investors, and for entrepreneurs (that’s my kind of show!). The show, Shark Tank, is based on lines of Dragons’ Den and has a team of entrepreneurs and business executives referred as ‘sharks’. The sharks consider offers from the other entrepreneurs for funding business ideas and the products. Created by Mark Burnett, the show has a panel of members who are also investors. Robert Herjavec, Kevin O’Leary, Barbara Corcoran, Daymond John, and Mark Cuban are the panel members. Though the show runs in the United States, it has lessons for everyone striving hard to be a successful entrepreneur. So why are we discussing Shark Tank instead of discussing case studies of big businesses, life-stories of successful entrepreneurs, and lessons from smart investors? Simply because the show provides abundance of knowledge which startups, entrepreneurs, and investors require. The lessons investors and entrepreneurs can learn from the show are plenty, we try to highlight some of them for you. Be a Hustler – Only a person with the ability to execute consistently can make it big. Therefore, being a hustler is a much needed trait of an entrepreneur. The sharks give a very strong lesson to the entrepreneurs and investors in this regard. Everyone from Robert Herjavec to Kevin O’Leary to Mark Cuban is a hustler. They are known for their successes because of the hard work and dedication to build products, companies, and the knack to create value for their clients and customers. Before you pitch your idea to any shark, ensure that you’re ready to go the extra mile and work like a hustler. Know the Math – A really vital lesson that investors and entrepreneurs can learn from Shark Tank is to know the math behind the business. The importance of knowing the numbers is highlighted on the show. It proves that passion drives a business to its growth phase, but only being aware of the numbers – the coming in and out of cash, will save it from downfall. Doing math is required especially when you’re presenting to a team of angel investors, venture capitalists, or are trying to find ways to take your business to next level. Number awareness would help you present your business in a better, clear, and concise way. 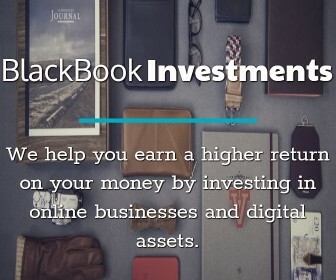 Giving your potential investors confidence that they can make a good return on their investment. The biggest example we have today is Facebook. It was valued at a staggering $104 billion before the IPO. And soon after the NASDAQ listing and share issue, the share price fell badly and never bounced back till date. Financial giants and corporate were quick to comment on over-valuation that led to the Facebook debacle at NASDAQ. And, the sharks really put more emphasis on knowing the numbers well. Appearance is Deceptive – One significant lesson investors, startups, entrepreneurs, and even established businesses can learn from Shark Tank is all that glitters is not gold. Though this show is a wonderful platform for people to pitch their ideas and stuff, there’s no denial to the fact that there’s a bit of hype there. The hype is created to attract viewer attention, to draw advertisers’ interest, and for higher TRPs (Television Rating Points). But despite all the buildup, Shark Tank proves to be worth it for its viewers. It has the finest panel of judges who share their knowledge and experience, and genuinely help investors and entrepreneurs all over the world. So the point here is to avoid going after things only because of their appearance. After all, appearance is deceptive. Do What You’re Good At – Different investors/judges on the show have expertise in different areas. For example: If an entrepreneur pitches an Internet idea and Mark Cuban isn’t convinced then it’s probably a no from other panel members too. Because that’s what his expertise is. Barbara Corcoran is a real estate queen, she knows the ins and outs and that’s something she does really well. In short, rather than wasting your energy, time, and money on something which you aren’t too good at, do what you’re good at. It is simple. Steve Jobs once said, “Find what you love to do.” And once you know what you love, you’ll passionately work and surely excel in it. It’s all because you do what you’re good at. Be Ready for the Leap – One of the most important lessons to learn from Shark Tank is that, whenever you’re up for a big media outreach, we need to make sure that we’re ready for it. Meaning, in Shark Tank, regardless of whether you get an investment or not, your product would be known to millions of Television viewers. And, if you are not ready for such tremendous publicity, then you’re going to repent later. This is something that has happened to few companies in the past that presented their startup on the show; so it’s a lesson for every entrepreneur. Not to forget, if you don’t have support systems in place to leverage that instant fame, then you’re definitely going to miss out on a once in a life time opportunity. Have Plan A, and B – If you’ve ever noticed startups that have a master plan that’s backed up by multiple other plans often get better response from those billionaire judges. The reason? Well, because those people know that a clear vision that is supported by not one but multiple business plans help in accomplishing the business goals much more effectively. So, the next time you think of planning something for your business, don’t forget to create a plan B, C, and D. Obviously, you don’t have to get obsessed with planning, but the basic idea is to emphasize on having backup plans. That’s exactly what we can learn watching Shark Tank. These are some of the most popular lessons that I believe any investors and entrepreneurs can learn from the famous reality TV show. If you can come up with more lessons from this show, please do share it in the comments section below!